Is it just me or did 32 bit mode just get dumped on Mac... and thereby all my Miroslav Orchestra templates and scores? Would have been nice to know in advance. Luckily I have Time Machine back up but PLEASE PRESONUS don't loose 32bit mode!! andrewpink wrote Is it just me or did 32 bit mode just get dumped on Mac... and thereby all my Miroslav Orchestra templates and scores? 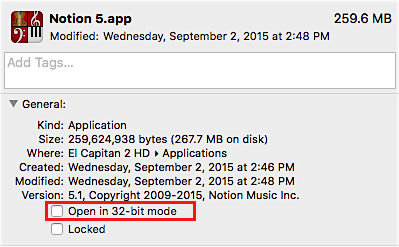 I did a quick check, and NOTION 6.5 does not run in 32-bit mode on the Mac . . .
You can verify this by right-clicking on Notion.app and selecting the "Get Info" menu item on the context menu . . . If there is no option to run in 32-bit mode, then the application only runs in 64-bit mode unless it's a 32-bit only application, which one might presume is possible, in which case it only runs in 32-bit mode . . .
Hardware and software moves forward, and at some point it becomes impractical to continue to support outdated technology . . . Whether this is good, bad, or indifferent is different discussion, but it's the practical reality . . .
For example, I do everything on the 2.8-GHz 8-core Mac Pro (Early 2008) here in the sound isolation studio, and the highest level of Mac OS X it supports is 10.11 (El Capitan); so if I want to run a higher level of Mac OS X, then I have no option but to get a newer Mac . . . There was a post about Airpods recently, and I contacted Apple Technical Support, where after my question about Airpods and the Mac Pro (Early 2008) was escalated to a Mac OS X senior technician, who had to do a bit of research, the definitive answer is that Airpods will not work with the Mac Pro (Early 2008) here in the sound isolation . . . The Mac OS X senior technician was a bit surprised that I was running a 10 year-old Mac Pro and in fact remarked, "I haven't seen a tower in a long time" . . .
Never missing the opportunity to provide a bit of enlightenment, I told her that I have a friend who continues to use a Mac "tower" that has a PPC processor, which is at least 20 years old . . . 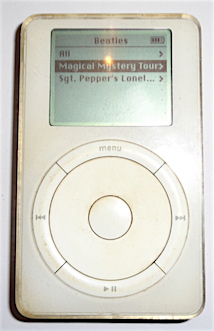 I also told her that my original iPod from nearly 20 years ago continues to work nicely, to which her response was "No way, dude" . . .
Having a backup plan and using it is a good idea, and with Time Machine you can revert to the previous incremental version of NOTION 6, which solves the immediate problem, as you indicated . . . I have the first or previous version of Miroslav Philharmonik, and today I can use it with the 64-bit version of NOTION, which I started running soon after NOTION started supporting 64-bit computing, which was several years ago and, as I recall, starting with NOTION 4 . . .
IK Multimedia products did not enter the 64-bit computing universe until sometime later, but after a while SampleTank 3 (IK Multimedia) appeared . . .
More recently, the new 64-bit version of Miroslav Philharmonik (IK Multimedia) appeared, as did the 64-bit versions of T-RackS and AmpliTube; but until IK Multimedia fully embraced 64-bit computing, I switched to other AU (Audio Unit, Mac-only) and VST (Mac and Windows) virtual instruments and effects plug-ins, which was not an inexpensive endeavor but overall was excellent, because it led me to explore applications that I probably would not have explored otherwise . . .
Once IK Multimedia released the 64-bit version of SampleTank (SampleTank 3), I upgraded and discovered that SampleTank 3 supports running the various "legacy" 32-bit synthesizers, collections, and Miroslav Philharmonik, which it does after these are imported to SampleTank 3--a process which includes building data and so forth that runs in 64-bit mode, where doing the conversions and data mapping does not take an inordinate amount of time, where for "legacy" Miroslav Philharmonik it took about 30 minutes, as I recall. It's a one-time import, so once it's done, everything is available from that time forward . . . In fact, I prefer the "legacy" instruments, because (a) I like the way they sound and (b) I have a specific set of effects plug-ins I use to get very specific tones and behaviors for my favorite IK Multimedia "legacy" instruments; and for the most part, at present I do not use any of the newer SampleTank 3 virtual instruments, which is fine with me . . .
One example is the Höfner Beatle Bass from the IK Multimedia "Bass Collection 2", which is a personal favorite primarily because when enhanced with T-RackS 5 "Vintage Tube Equalizer EQP-1A" loaded with the "FATT 1A" preset, it has deep and rich bass tone . . .
T-RackS 5 (IK Multimedia) is 64-bits, but the Höfner Beatle Bass is a "legacy" instrument running in SampleTank 3 . . . It's not a matter of preferring 64-bit computing or 32-bit computing, because for the most part it doesn't matter here in the sound isolation studio . . .
What I care about is the way it sounds, and for electric bass I think the Höfner Beatle Bass enhanced with T-RackS 5 "Vintage Tube Equalizer EQP-1A" loaded with the "FATT 1A" preset is the best deep and rich electric bass tone I have found . . . If you like the 32-bit Miroslav Philharmonik sounds, then one option is to get SampleTank 3 and run them in "legacy" mode . 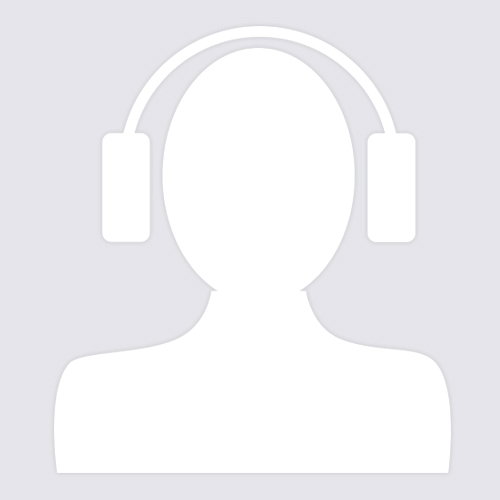 . .
Another option is to upgrade to Miroslav Philharmonik 2 and use it . . . Since the new version of Miroslav Philharmonik is based on SampleTank 3, it supports running the "legacy" sampled sounds from the first version of Miroslav Philharmonik, but you don't need to do the importing and converting that is required when you want to run the "legacy" instruments and sounds in SampleTank 3 or SampleTank 4 . . .
As I understand it, the problem with respect to NOTION is that predefined mappings for the first version of Miroslav Philharmonik probably require running that version rather than running "legacy" sampled sounds in Sample Tank 3 or Miroslav Philharmonik 2; so this is something you need to verify . . .
Miroslav Philharmonik 2 has nearly all the "legacy" instruments and sounds, so there is no "legacy" importing required, which in contrast is required in the case with Sample Tank 3 or SampleTank 4; but again, I think this maps to running Miroslav Philharmonik 2 as a "VST Instrument" rather than using one of the predefined mappings in NOTION 6, although perhaps not . . . 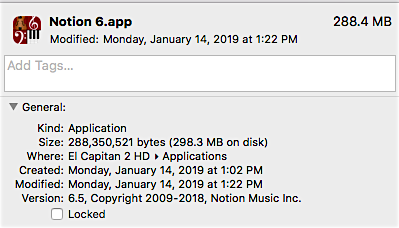 I do not have Miroslav Philharmonik 2, so at present there is no easy way for me to determine whether NOTION 6.5 knows about it, although there continues to be a "PLK" subfolder in the "Resources" folder of NOTION 6.5 package, which on the Mac is part of what the "application bundle" is called . . .
On the Mac, data associated with an application can be "bundled" with the application executable, which is nice functionality and avoids needing to provide a virtual festival of associated data files for an application . . .
What you will find is that 64-bit computing is better than 32-bit computing for a virtual festival of reasons; and the practical perspective is that you need to have a 64-bit computing strategy, because sooner than later, everything will be 64-bit only . . . When I moved from 32-bit computing to 64-bit computing, it took a few years--mostly because the IK Multimedia folks were not on the program until later; but as explained, I used other products for virtual instruments and effects plug-ins, which was fine with me . . .
(1) "Freeze" your digital music production hardware and software, and ensure that you can keep it "frozen" in time by getting some replacement hardware while it is available--noting that in some respects this is the strategy I am using here in the sound isolation studio, which includes starting to accumulate some additional Mac Pro (Early 2008) computers for parts and so forth . . . In theory, when you "freeze" a machine (hardware and software), if you have spare parts, then you should be able to use it for decades, more or less . . .
(2) Upgrade everything, which includes getting a new Mac and the latest versions of all the digital music production software you need or want to use, which overall can be an expensive endeavor that sooner or later leads you to the first strategy sometime in the future, because everything moves forward, not backward . . .
With respect to SampleTank 4 (IK Multimedia), which is available for pre-order, the specifications indicate that it will import all previous version virtual instruments (a.k.a., "legacy" instruments and sampled sounds), which is good . . . The pre-order pricing for SampleTank 4 is discounted, so this certainly is an option; but if your templates are based on native Miroslav Philharmonik 1 mappings in NOTION, then you will need to address this, as well as any custom rulesets you might be using . . .
On a related note, in the late-1970s and early-1980s when, among other things, I was doing mainframe computing in the COBOL programming language I never used what were called "group move" statements and instead assigned values to variables one-at-a-time, which required a lot more coding, although it was simple coding . . .
People used to find this a bit hilarious in the sense that they thought it was stupid; but after a while the UNIVAC folks decided to "tinker" with COBOL and one of the consequences was that "group moves" stopped working . . .
At that moment, my status in the COBOL programming community became golden, since my programs where the only ones that worked . . . 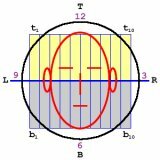 The relevant bit of information in this respect is that most software engineers simply cannot resist the temptation to "tinker", which has the practical consequence that through no particular faults of their own, without serious adult supervision they will break everything except the most basic and simple things . . . Consider what one might consider to be the simple matter of incrementing an index variable, where in the C programming language there is one way to do it; but in the C++ programming language there are several ways to do it . . .
Based on the idea that it's a lot more difficult to break the C programming language incrementing strategy, it's the one I use . . . It's not a matter of having no idea how the other C++ strategies work . . . Instead, it's a matter of knowing that the folks who design and program compilers, sooner or later are going become bored and then will start "tinkering" with stuff . . . In this instance (NOTION 6.5), it's not a matter of "tinkering" . . .
At some point it becomes impractical to continue supporting old technologies, and this is the reality for everything . . . It's the same with cars and trucks . . . I like cars and trucks that don't have a bunch of computer stuff, because I can work on them . . .
You can run OSX 10.12 on a Mac Pro 2008. I have one...there is a firmware hack freely available on the net and I have been running 10.12.6 for the last two years no problems except a possible wifi problem. Regarding Miroslav...Miroslav 2 is terrible and I cannot use Sampletank as it means no script as you say, which defeats the whole point.